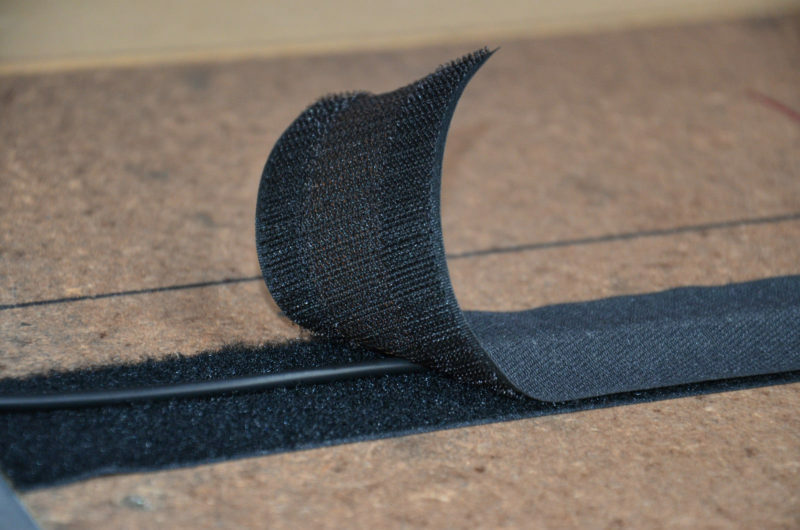 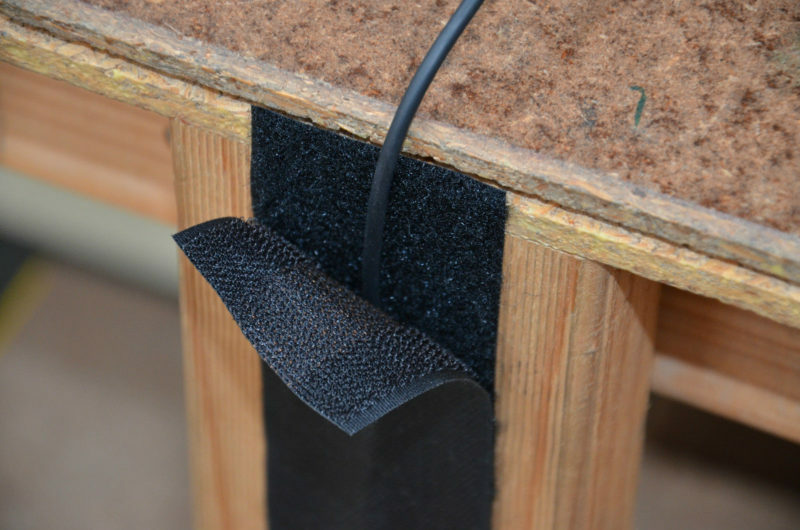 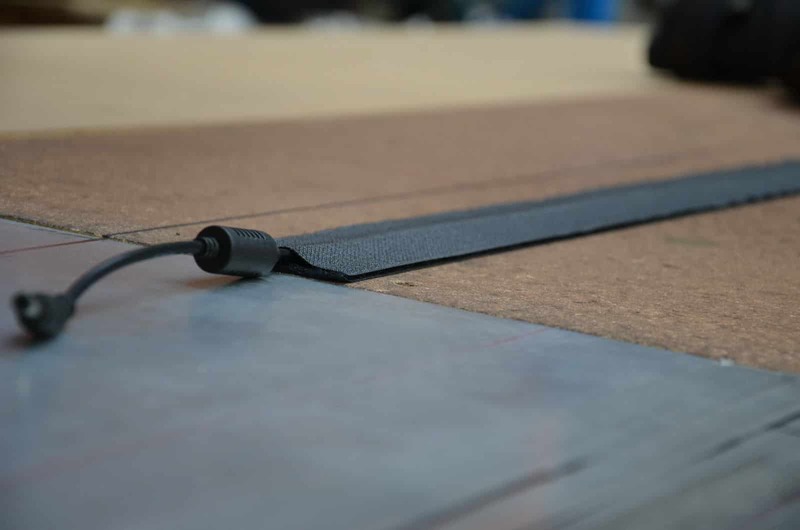 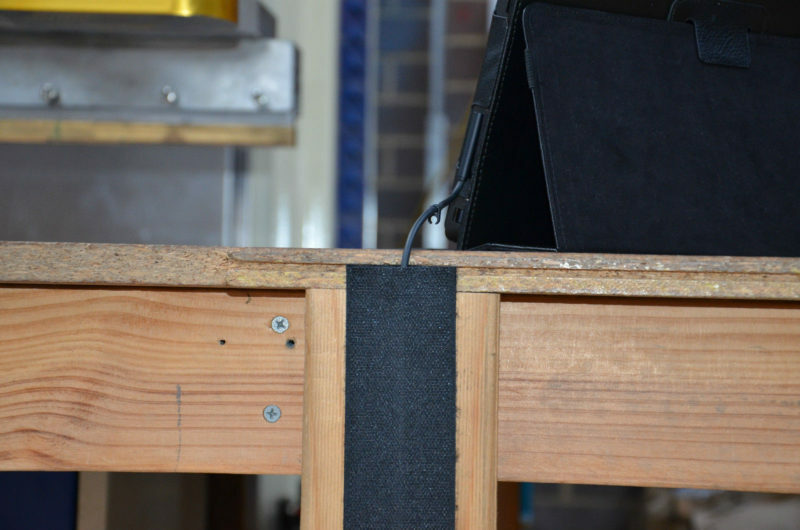 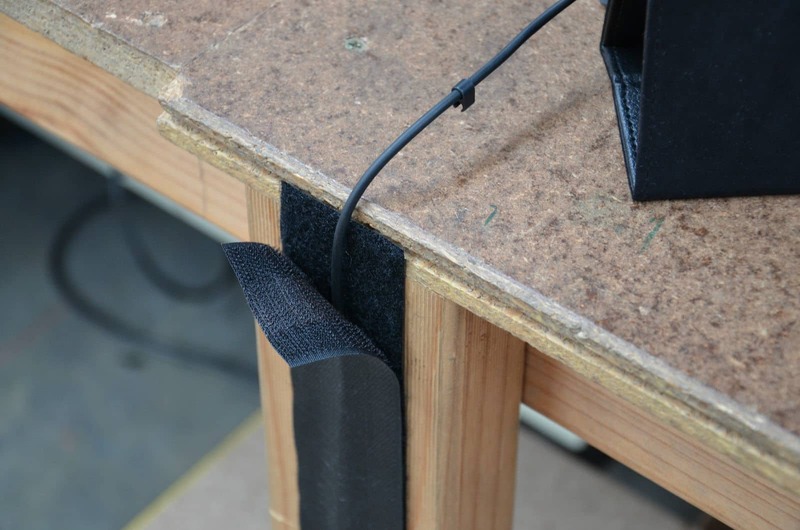 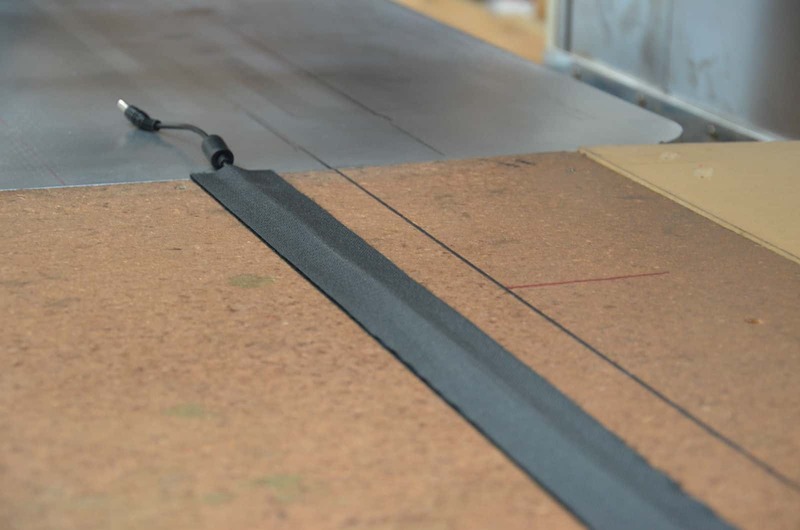 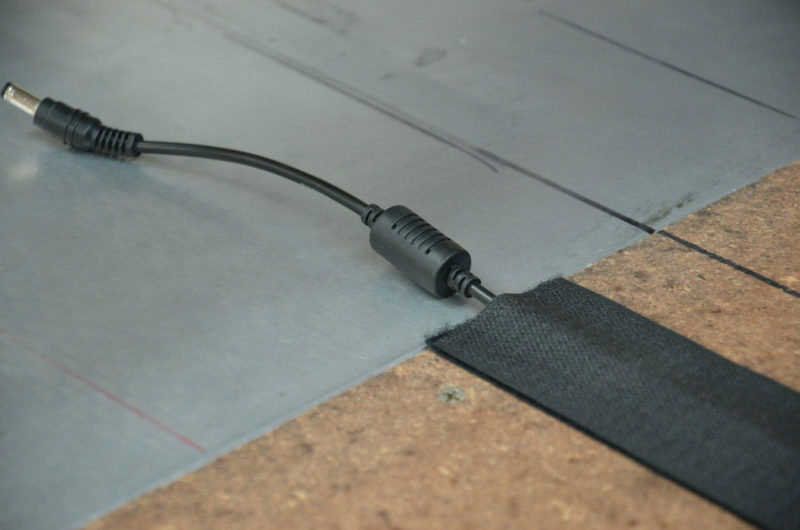 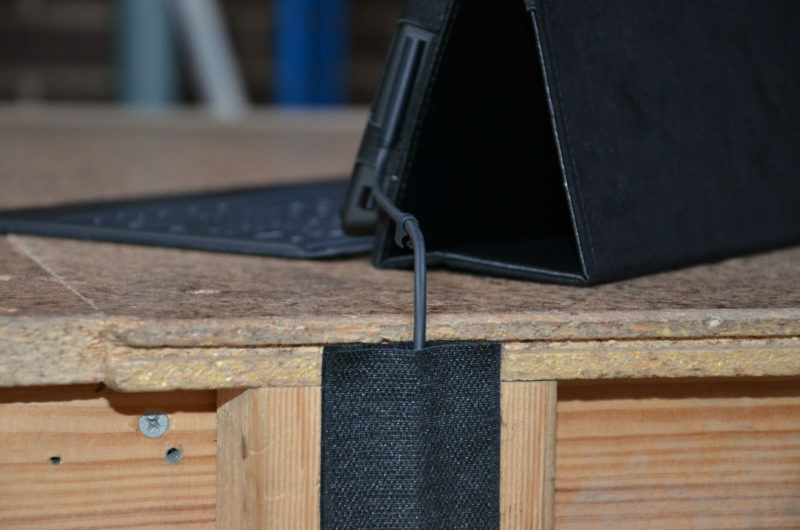 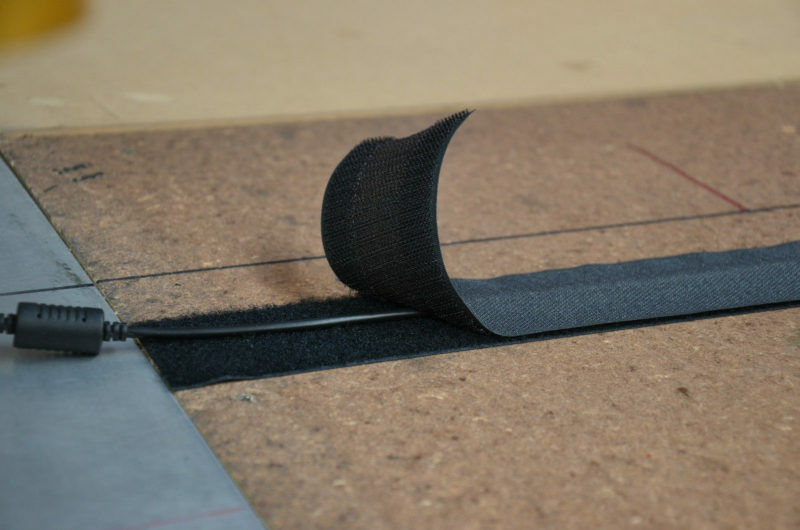 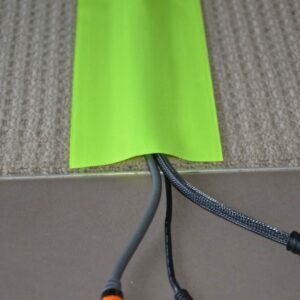 Lightweight simple solution for covering electrical, computer cables on Timber, Laminate or tile floor or You can run above / underneath the desks. 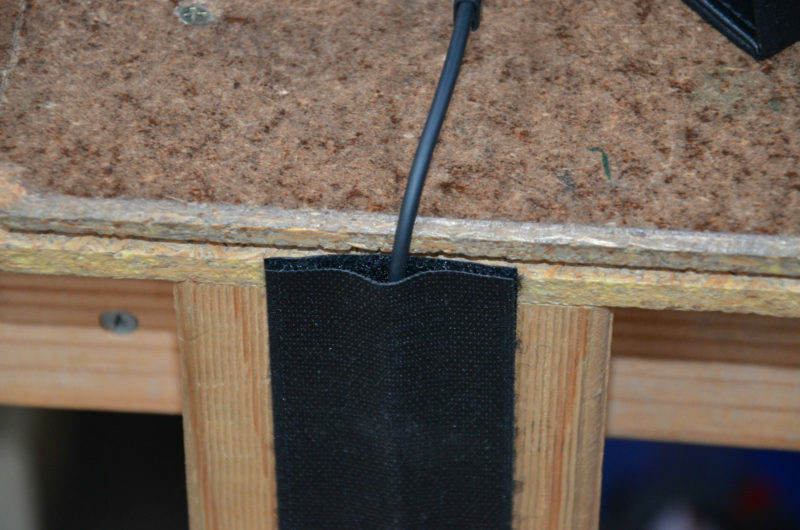 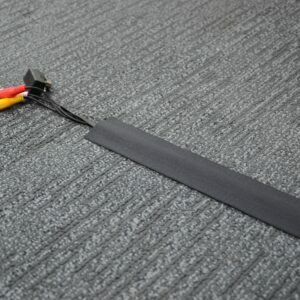 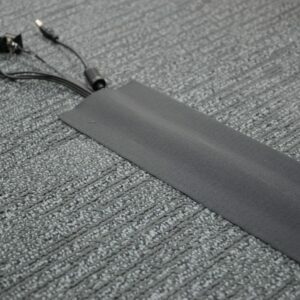 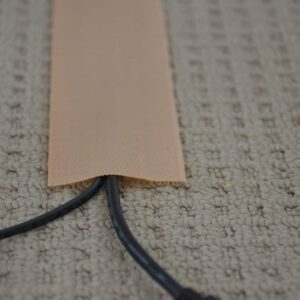 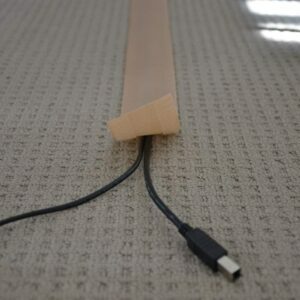 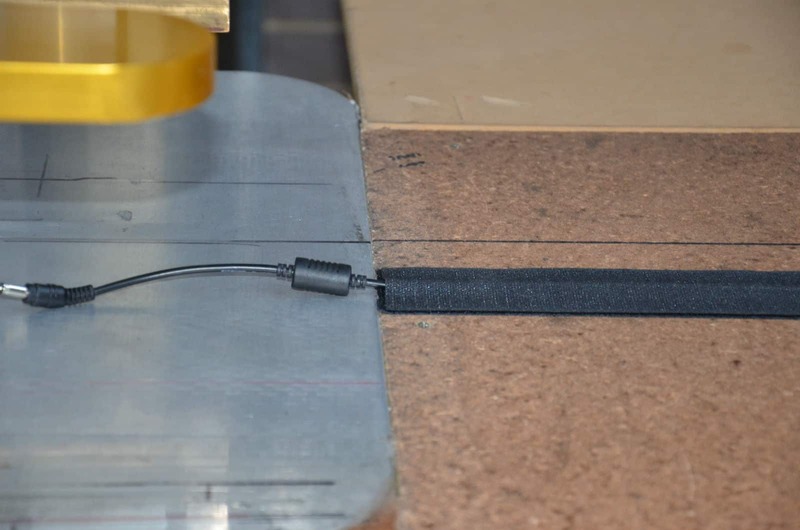 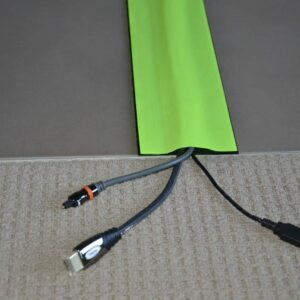 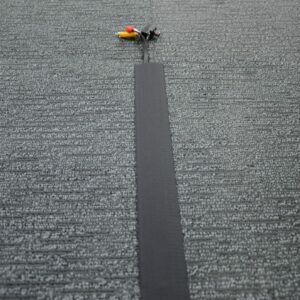 Simply stick the bottom part (make sure to clean the surface before stick the cover) of the cover, run the cables in the middle over the length and put the top part, top cover will grip the bottom part giving you an effective low profile solution for hazardous cords and cables. 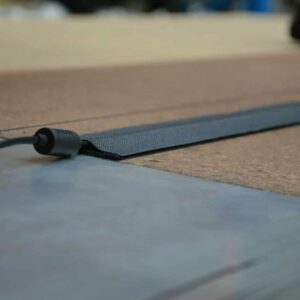 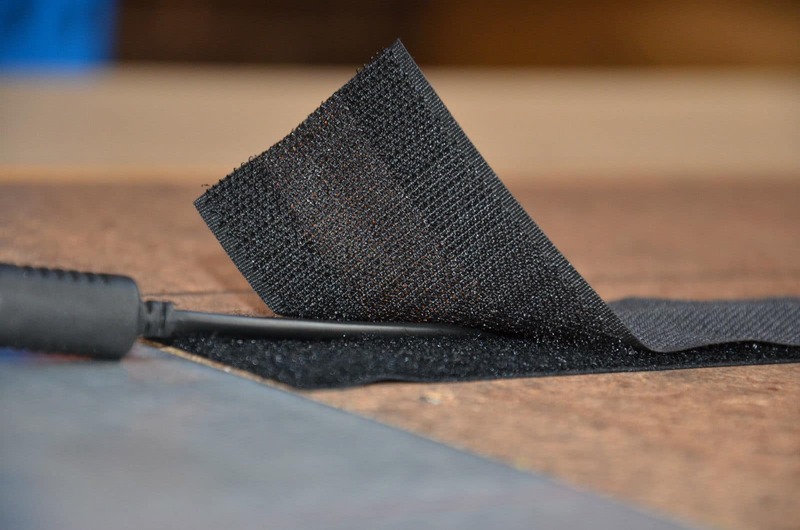 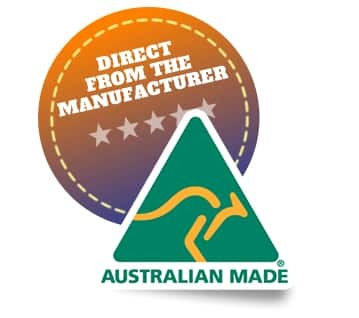 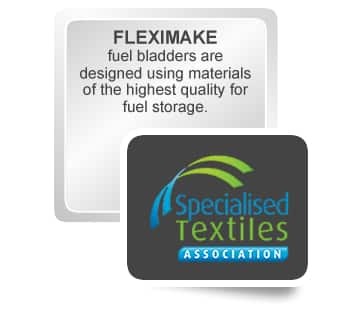 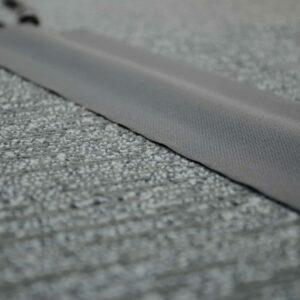 The heavy duty nylon fabric is wear and abrasion resistant and it grips so well that it can be vacuumed over without movement. 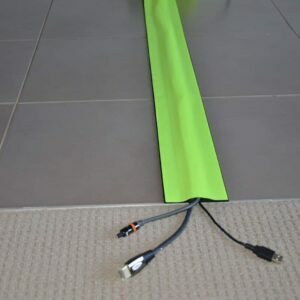 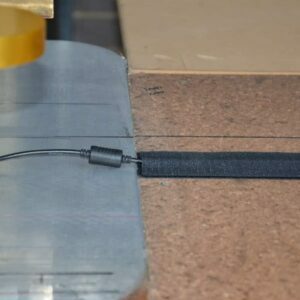 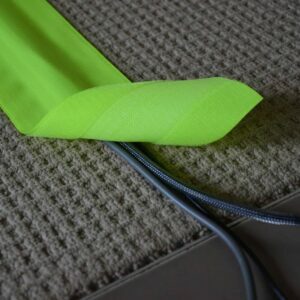 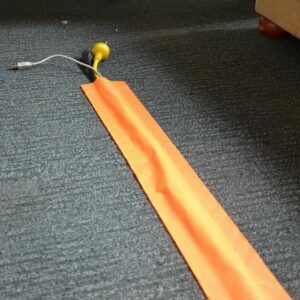 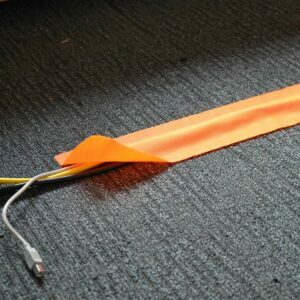 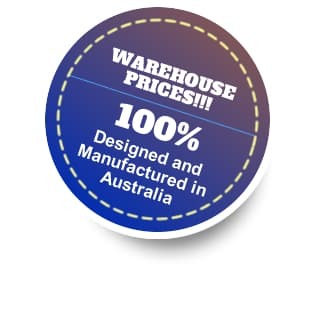 Cable Covers can be made to many lengths.